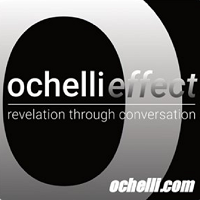 This week Chuck Ochelli joins me to discuss geopolitics and the problems of the world. We start off discussing the recent Singapore Summit between North Korea and the US. Chuck and I both offer our opinions and analysis of the “deal” that is being hammered out by Trump. We talk about the realities of what is actually being presented, and discuss the larger context of what this may mean for the Korean Peninsula. In the second hour Chuck and I branch off and talk about Jeff Sessions reversal of a court ruling granting asylum to immigrants fleeing domestic violence and violence from non-state actors. We also talk about the genocide in Yemen, which could see 10 million people starve to death. Chuck and I close out the show by talking about the lack of morality and respect for human life that many here in America seem to have. Mike Swanson Author of The War State joins us to revisit Vietnam and examine a recent book by Author Max Boot. Many fallacies about the Vietnam conflict are confronted in the opening discussion. However, the primary focus of the conversation is Ed Landsdale. Major General Edward Lansdale was with the O.S.S., The U.S. Air Force, and the C.I.A. The reality of his career and his legend have both evolved over many decades. Due in part to his alleged involvement in The Assassination of JFK, but also his provable operational work in The Philippians, Operation Mongoose, and the early stages of the Vietnam conflict. He rose to the rank of Major General and was awarded the Distinguished Service Medal in 1963. His death in 1987 did not cause his legend to fade. Max Boot released a book this year which Mike Swanson explains quite a bit about in hour 1. Pearse Redmond continues with the topic of Landsdale in hour 2 relating to his foray into Hollywood films. The Quiet American is a twice made movie that seems to have been influenced and exploited by Landsdale and the C.I.A. Plus we discuss the latest Trumpet madness. Aaron Franz of TheAgeofTransistions.com joins us for the first hour. We begin by talking about Aaron’s new live version of Trans Resister Radio and Uncle the podcast. Aaron and I then discuss the topic of the imagined dividing line between the real and the fantastic, the objective and the subjective. We talk about how reality and fantasy have begun to blur increasingly over the past several years. Using Elon Musk as an example we discuss how Musk’s increasingly bizarre pronouncements illustrate this concept. We also touch on statements made by leading scientists that claim we are living in a computer simulation. Aaron and I talk about the deeper occult meaning behind this as well. We also talk about the idea of fake news and how this fits into this paradigm. Later Aaron and I look at a recent study by UCLA which claims that memories are really genetic. We talk about a recent experiment which claimed that memories could be implanted within sea slugs. Aaron and I discuss the dangers of this, including the idea of erasing bad memories from ones mind. In the second hour I go it alone. I start by talking about the amazing Dingle Record Shop and it’s proprietor Mazz O’Flaherty. I then go on an extended rant about how much I despise the endless news cycle of death and trauma. I focus mainly on the recent massacre in Gaza and my disgust at the way many people seem to be celebrating this. I also talk about the idiocy of reneging on the Iran deal and how this is most likely being orchestrated by the neocons. Later I touch on how everything seems to be reverting back to the Bush years, or possibly even worse. I also talk about how this has effected me on a personal level. Mike Swanson joins us on a Tuesday night to really examine the Trump Foreign Policy attitude http://wallstreetwindow.com/node/13965 with his article at https://wallstreetwindow.com in hand Michael attempts to make sense of what is being said , and asks interesting questions about the unspoken portions that may only become obvious to all at a later date. Mike’s unique and solid analysis is as always welcome. In the second hour dealing with Trump Foreign Policy MAGA Pearse Redmond of Porkins Policy Radio joins us to take the conversation even further with hints at the actual origin of the ideas represented.